NO UPDATING NEEDED IN THIS UNIT AT BANYAN POINT. Walk into this 2nd floor unit and see the details in every room. With nearly 1400 sq ft this open floor plan allows for plenty of space for entertaining. The kitchen has solid surface counter tops and is open to the dining/living room great room area. The split floor plan has a spacious guest bedroom & bathroom. The Living Room and Master Bedroom both have sliding glass doors out to the lanai where you can sit to enjoy your morning coffee or a sunset cocktail with a view of the Community Pool and grande Banyan Trees. This unit has plenty of storage closets and a full-size washer & dryer. The Master Bedroom Suite also has a built in desk area and large walk-in closet. Boat Docks are available First-Come/First-Serve and under one fixed bridge you are just minutes to Charlotte Harbor. 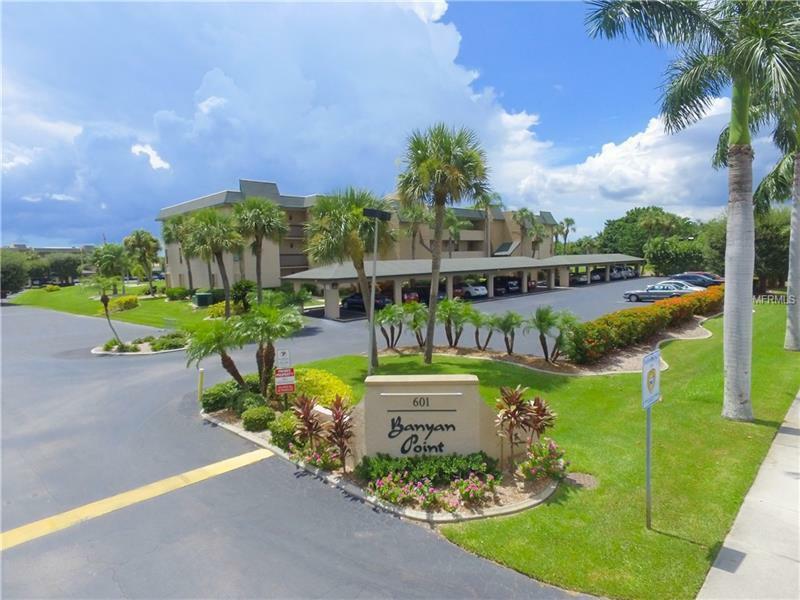 Banyan Point is walking distance to Fishermen's Village with many boutiques & restaurants the History Park Farmer's Market (open on Sunday mornings) and the miles of walking or biking trail that surrounds the City of Punta Gorda. If making life simple in one of the best small city's in Florida with beautiful sunsets then it's time to make an appointment to view this condo today!